If you need air conditioning repair services in Newbury Park, then look no further. At American cool and heat, we have the skills, the tools, and the expertise. When your air conditioner is not working properly you can get frustrated and scared of the cost not to mention hiring the right AC repair company. We have been the AC repair Company of choice in Newbury Park we are fully licensed and bonded and will provide references if requested. Here at American Cool and Heat we service all brands and equipment, we’ll get your furnace, air conditioning unit, mini-splits, heat pumps, air handlers and boilers up and running as quickly as possible. We are a trustworthy Newbury Park HVAC company we focus on safety and all of our work meets local safety and building codes. We also provide HVAC Maintenance in Newbury Park regular maintenance of your HVAC system produces numerous benefits. Improves system performance, reduces utility bills through more energy-efficient operation, Prolongs system life Identifies potential problems, preventing expensive repairs, and keeps most manufacturers’ warranties valid. We strive on providing the Newbury Park Residents with the best quality HVAC systems and expert maintenance service year round. Our emergency A/C repair technicians are available 24 hours a day, 365 days a year to repair your air conditioning unit, or HVAC system; we are available weekends or holidays. All of our air conditioning repair technicians are fully licensed and bonded and have had extensive training and are always improving their skills with new technology. Newbury Park Air Condition 24 hr repair services strides in providing the Newbury Park customers with the best customer service. We know how stressful your situation is and giving you the best service is what we’ll do. When your family’s health, safety and comfort is involved, our top priority is to assess the situation as quickly as possible. We come prepared the first time we come out to your Newbury Park residence or business we know how precious your time is. 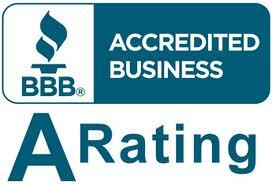 Trust the expert of AC repair American Cool and Heat. Usually indoor air quality problems in Newbury Park only cause discomfort. Most people feel better as soon as they remove the source of the pollution. However, some pollutants can cause diseases that show up much later, such as respiratory diseases or cancer. At American Cool and Heat we know that indoor air quality in Newbury Park is very important and we service our Newbury Park customers in a timely manner. We use the highest quality Electronic/charcoal and HEPA filtration systems. We rid your house of smoke, pollutants, mold, pollen, and deliver clean fresh air to your desired site. We also provide Carbon Monoxide safety testing in Newbury Park in many cases we have discovered carbon monoxide leaks that went undetected. 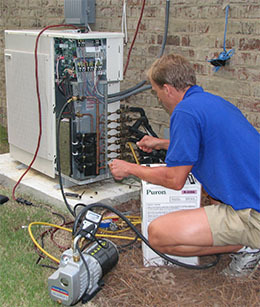 Our expert installers and service techs can make emergency repairs to any system.